Social influence is the corner stone of consumer psychology. In fact, in the last decade of the 19th century the study of consumer psychology emerged from an interest in advertising and its influence on people. 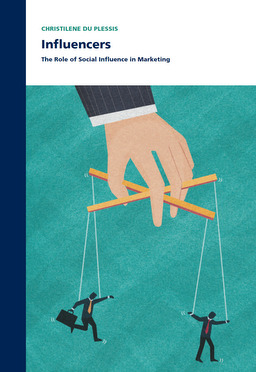 Traditionally research on social influence has focused on understanding how people respond to influence attempts and how social influence emerges. This dissertation challenges common methodological conventions used to study social influence in consumer behavior and, more broadly, social psychology. The first part of this dissertation moves beyond the study of social influence in a single dyadic relationship, and investigated how one dyadic relationship influences another. Here, influence attempts by one agent (e.g., a company) on another (e.g., a review writer) are shown to not only influence the cognitions of the agent being influenced, but also their ability to influence others (e.g., review readers) in turn. The second part of this work investigates how the widespread use of 2-cell instead of 3-cell experimental designs in social power research limits understanding of both the powerful and powerless. The pervasive practice of contrasting high power to either a low power or a control condition is found to weaken construct validity and inflate the size of effects attributed to high power. In contrast, using 3-cell experimental designs facilitate theoretical advancement by enabling the identification of curvilinear effects. The findings in this dissertation highlight the need for scholars in consumer behavior, and social psychologists more broadly, to question common methodological conventions used to study social influence. Overall, this research suggests that doing so may not only increase methodological rigor and confidence in subsequently observed effects, but may also lead to novel theoretical insights.